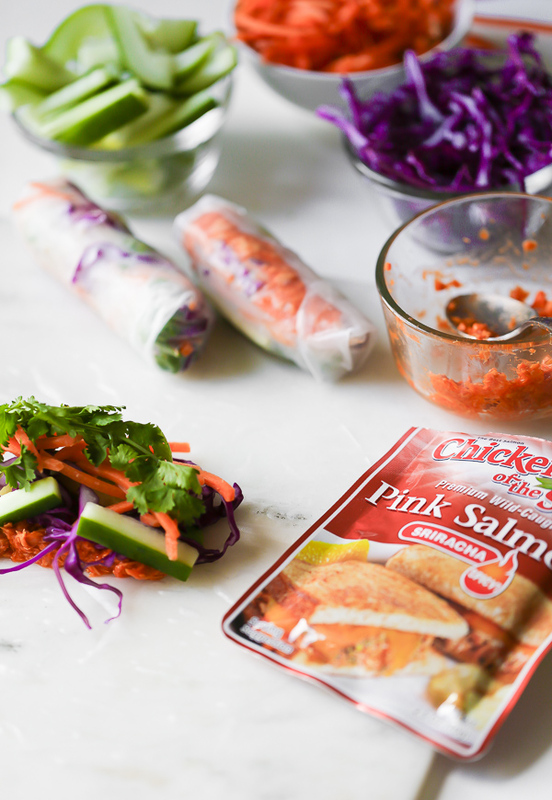 These fresh veggie-packed salmon summer rolls can be made with canned salmon or salmon pouches for convenient quick lunches, healthy snacks, or appetizers! It was kind of a trick question. There was no way I wasn’t making them. I made pasta, too. And a green smoothie. If I’ve learned anything about satisfying cravings in the past 10 years, it’s that, so often, you can satisfy them with healthy alternatives and not feel a bit of sacrifice. Those brownies I was craving? My friend Dana’s recipe hit the spot, and they’re actually pretty wholesome—made with black beans, coconut oil, and less sugar. They were just as fudgy as I wanted them to be. The pasta? Craving conquered with whole wheat spaghetti, which I always find more filling because it’s a little firmer and a lot chewier. And homemade sauce isn’t just more delicious than anything jarred, it’s more nutritious, too. The green smoothie I sipped while the sauce simmered, made with spinach and frozen banana, was just sweet enough to keep me happy until dinner. By Sunday, even though Daniel shoveled out the car, I still felt a tinge of that cozy, snowed-in snackiness. We watched football (well, he did), and I fixed us something to keep us full. 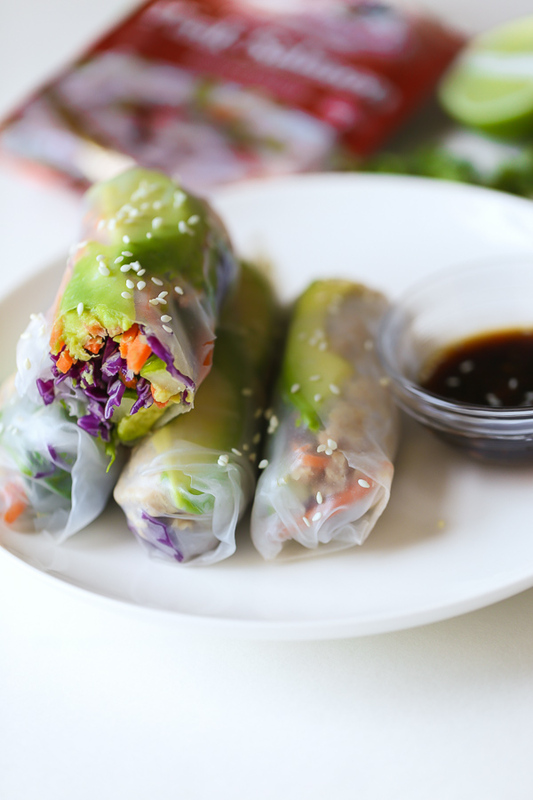 The fix: fresh, crispy, and cool summer rolls loaded with veggies. 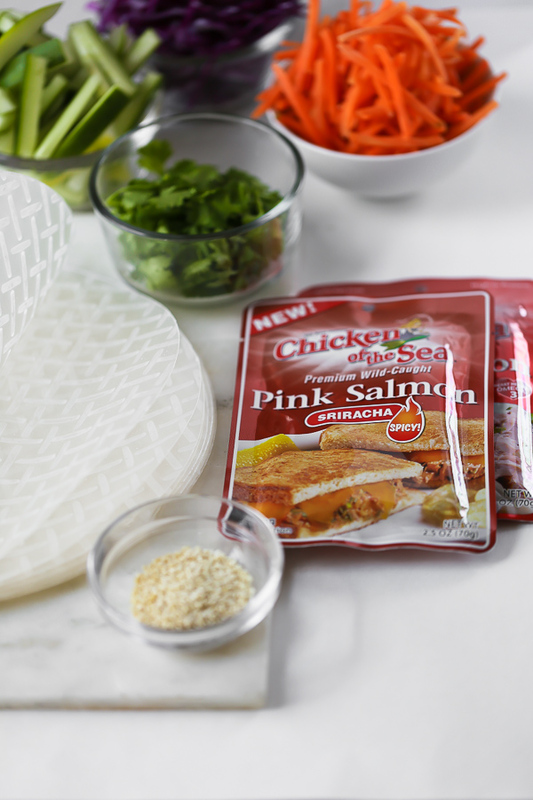 I wanted them to have some staying power, so I added my newest favorite Chicken of the Sea Flavored Salmon Pouch: Sriracha! This flavor has the perfect amount of heat and spice, with all the heart healthiness of traditional, wild salmon and only 70 calories a pouch. I think Sriracha is always better when balanced with creamy avocado, so I folded a few slices into each roll, along with sprigs of fresh cilantro, mint, and basil for a hit of bright herbal flavor. The herbs are such a refreshing addition! 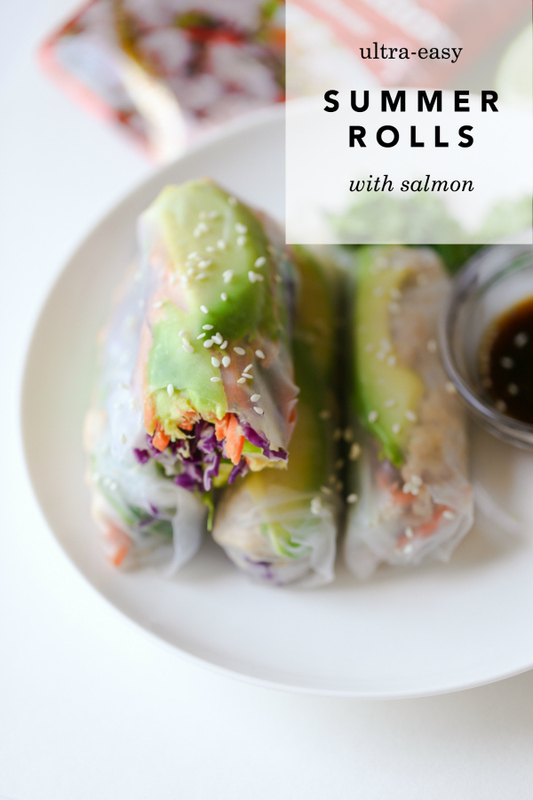 These rolls hit every craving—they were crunchy, delicious, fun to dip and eat, and filling, too. They reminded me of the fried Vietnamese spring rolls we love (un-fried! ), or even of some of the richer finger-food apps we love when we’re out to eat. It’s nice to make something a little lighter and more wholesome that still delivers in the flavor department—and these really do. I also love that they incorporate a serving of seafood—something I’m actively trying to work on this year! One of my goals at the start of 2016 was to reduce my dependence on meat (chicken, beef, pork), up the amount of vegetables I eat, and incorporate a serving of seafood each week. Using these Chicken of the Sea Flavored Salmon Pouches, or any of the Chicken of the Sea products for that matter, makes it so easy for me to do that in a convenient way. I can keep a few pouches or cans in the cabinet and make a quick meal anytime. Chicken of the Sea is challenging people to Sea the Possibilities this year, by stretching beyond their comfort zones, exploring something new, and receiving the satisfaction of accomplishing something they might not have thought possible before—and I am on board! I’m challenging myself to listen to my cravings and satisfy them with healthy alternatives when I can. Tuning in to those cravings will help me to avoid feeling blindsided when a craving strikes, and to react better and more quickly. Having lots of healthy recipes (for snacks, comfort foods…) in my arsenal is one way to always be prepared. Will you join me? If you want to enter this contest, and potentially win $5000 (!! ), you can choose to enter in 1 of 3 categories to challenge yourself: In the Kitchen (like challenging yourself to make good choices by eating healthier and incorporating more seafood! ), Better Every Day (focus on balance, working out, anything to make your life happier! ), or GO BIG (have a bucket list item? Or want to take a big leap? This is for you). Take a photo, write a brief story, and share it on social media with the hashtag #SeathePossibilities and that’s it! You’re in! Here’s more on how to enter. 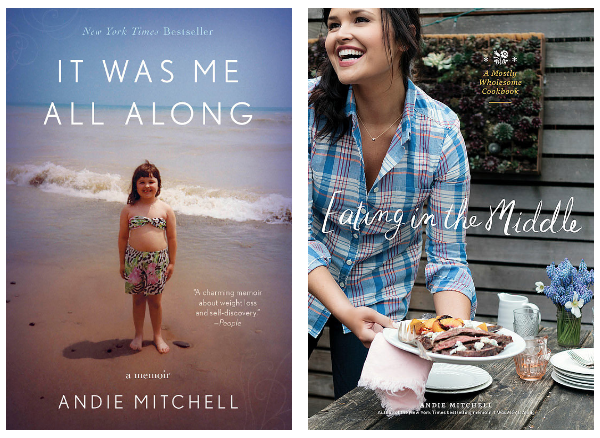 Join me: Twitter Party Tonight 7pm EST with @COSMermaid! 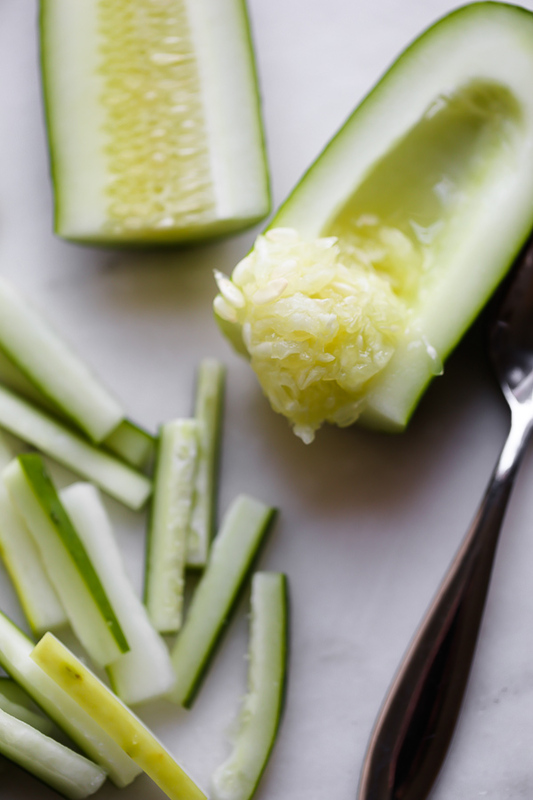 In a small bowl, whisk all the dipping sauce ingredients until smooth. Set aside. On a work surface, lay out all of your filling ingredients in bowls for the summer rolls so that you can wrap them quickly; the rice paper wrappers tear and dry the longer they sit. Spray a large cutting board with nonstick cooking spray. Fill a wide, shallow bowl with 1/2 to 1 inch of warm water (the bowl should be wide enough to fit the rice paper wrappers - at least 8 inches in diameter). Begin by dipping one rice wrapper into the warm water to fully submerge it. Let it soak for 5 seconds, then lay it on your prepared cutting board. Begin layering the ingredients in the center of the wrappers: salmon, cabbage, carrot, cucumber, avocado, cilantro, basil, and mint. Do not overfill (use only about 3 tablespoons of filling per roll). Fold the rice wrapper over the top of the filling, then fold the sides in on each end and continue rolling to seal. Repeat the folding process with the remaining wrappers and filling. You should have 16 rolls. Serve with dipping sauce. Never would have thought of putting Salmon in a spring roll! These rolls look amazing. Especially love how deliciously colorful it all looks! Dying to try them myself. Yum! 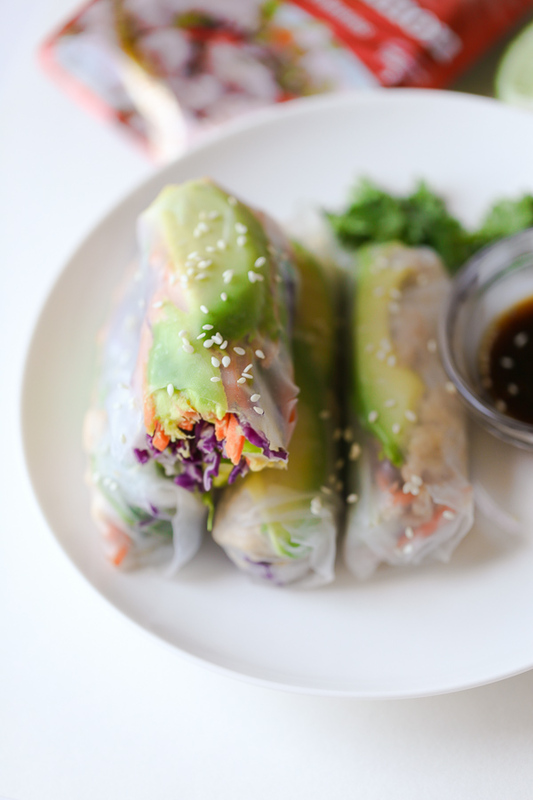 I just recently discovered my love for making spring rolls and I want to try this combo! Love the shortcut of using the salmon pouches.